Searching for your next social media addiction? 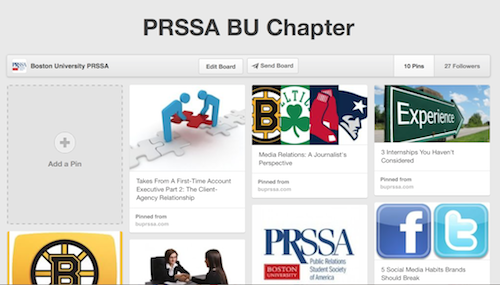 Look no further than our Chapter’s new Pinterest account. 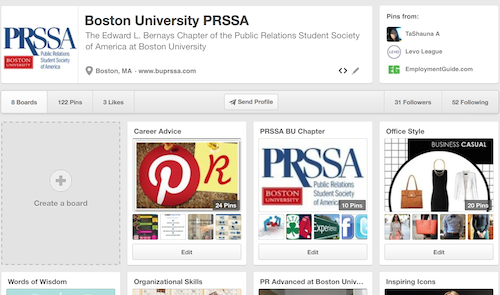 Our Pinterest boards offer aspiring PR professionals everything from career advice, to professional outfit tips, funny PR memes, inspirational quotes, and links to some of PRSSA’s latest news (and we’ve just gotten started). If you often find yourself in front of your closet with nothing to wear to the office, check out our Office Style Board for professional outfit inspirations. Office attire doesn’t have to be boring and stuffy. 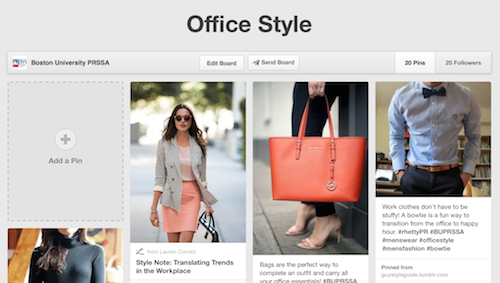 See our favorite picks on how to add personal style to your work look! Follow our Career Advice Board where you can find tips on how to craft a knock out resume, perfect the elevator pitch, and construct flawless interview responses. 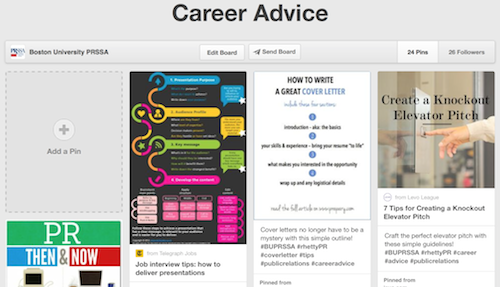 Our Career Advice Board has everything you need to become a successful PR professional. Need a laugh after a stressful day of interning? 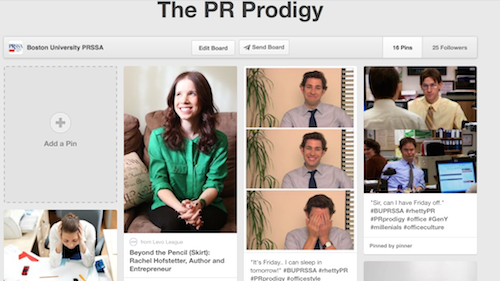 Check out our PR Prodigy Board to read some funny memes every aspiring PR professional can relate to. Ever feel like you’ve “hit the wall” in the middle of the afternoon when your energy and inspiration depletes? 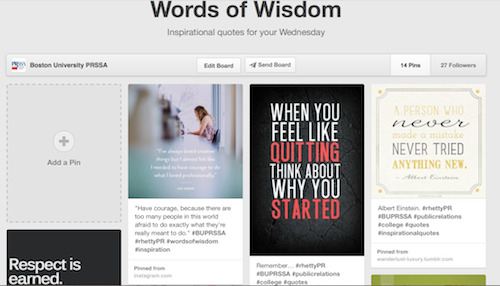 Get back on track by checking out our Iconic Board and Words of Wisdom Board to get a dose of motivation from our uplifting quotes or article links about our favorite business professionals. Missed one of our Chapter’s events or blog posts? Check out our PR Advanced Board and PRSSA Chapter Board to stay updated on our chapter’s latest activities, meetings, and blog articles. Follow, like ,and re-pin us on Pinterest!